If your perfect Saturday consists of listening to great music and tasting beer and wine all day, then the 8th Annual Uptown Beer & Wine Festival is definitely the event for you. Still not completely sold? That's okay. 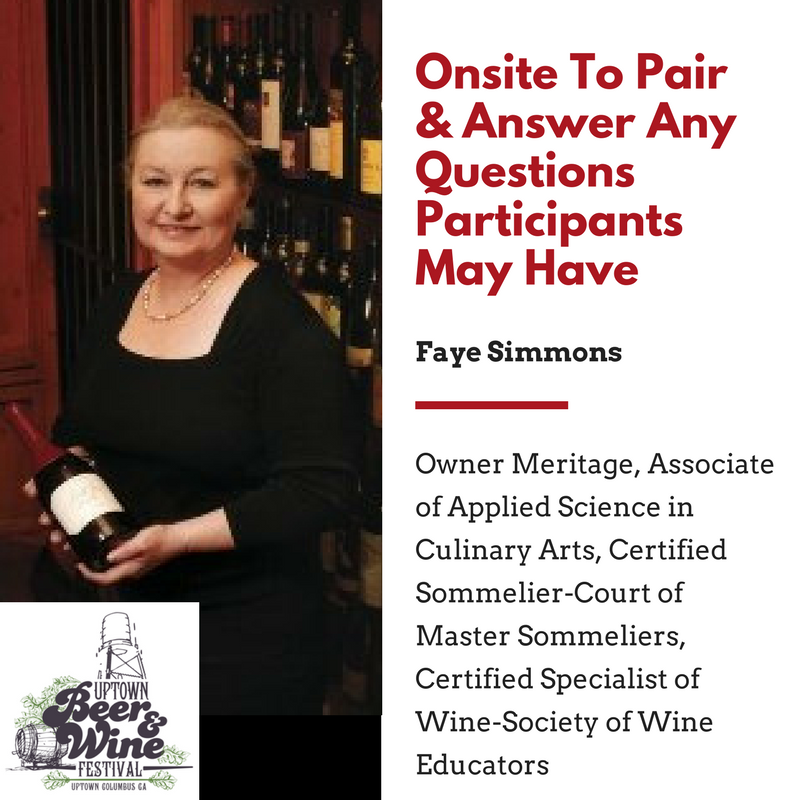 Here are 7 Reasons to go to the 8th annual Uptown beer & wine festival in Columbus, Ga.
Faye Simmons, Owner of Meritage will be at this year's event! She is the area's only certified sommelier. To find out more about her, click here. That's right, 100. There will be options from breweries like Sweetwater, Omaha, Grayton, New Belgium, Monday Night Brewing, Jekyll, Reformation, Red Hare, Wild Leap, Jailhouse. Southern Tier. Lazy Magnolia, Southern Brewing, Elysian, DB, and Golden Road. By the time this event if over, you will be a certified craft beerologist. For the Wine lovers, a new and improved wine tasting tent with more than 25 selections of whites, reds and blend varieties will be available. Charcuterie and cheese tastings to pair will be available in the tent. You don't have to worry about sampling your beer and wine in silence. DJ Mike Kelly will be there to spin some tracks and rock the house down. Dancing is encouraged. We have got you covered. Uptown restaurants will be serving tasty bites for purchase to complement beer and wines. All available in the tap courtyard. Expect to see Barberitos, River & Rail, Bare Roots and more. SEC football fanatics can catch the game on the TVs at The Tap. Take a beer break to check the score, and celebrate with more samples when your team scores a touchdown. Win-Win. Designated Driver tickets will be available at the gate for only $10. If all your friends want to drink, there is an Uber code for a free first ride up to $20 to use when you're leaving the event. The code is BWF17. All in all, this is not an event you want to miss. Join the event page here. Don't forget to buy your tickets before the Early Bird Special is over!